Beavercreek Marketing delivers innovative marketing solutions to over 3,500 financial institutions throughout North America. With a combined 100+ years of Financial Industry marketing experience, our content and tools get results. Interactive Click-Thru demos that match your actual Fiserv online banking solutions - color, design, feature set are all tailored for your financial institution. Excellent for staff training, one-on-one and group presentations, and in-branch displays and kiosks. Deeply branded video demos and promotional videos make delivering engaging content to your website, social media, branches and emails a breeze. 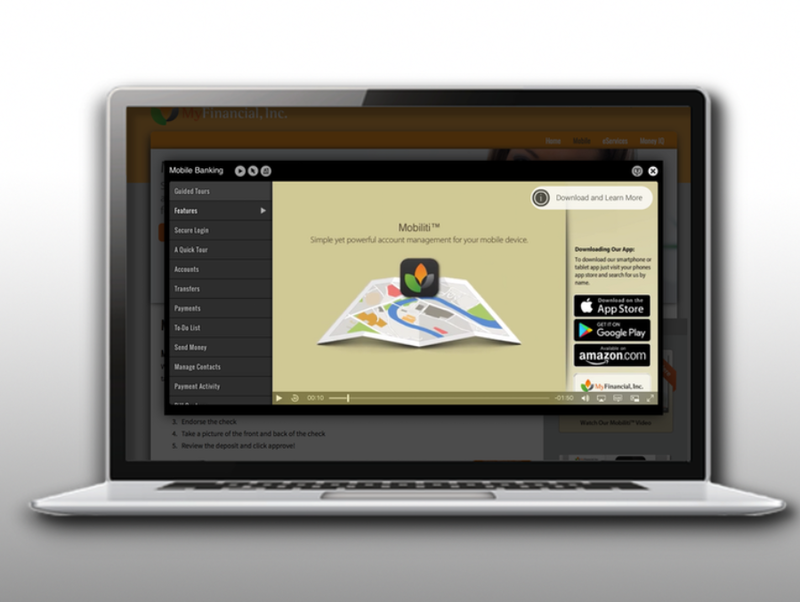 All videos are up-to-date, and match your product style, colors and features. 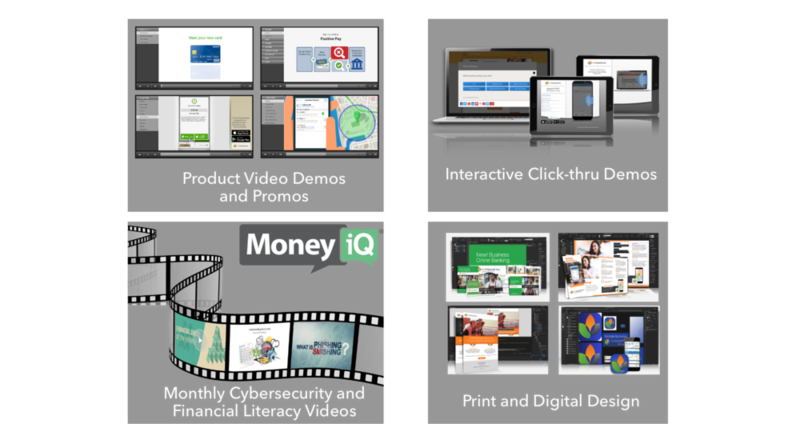 Included in Online Education Center Plus, Pro or Money IQ subscriptions, are the tools for you to deliver your Beavercreek created content, as well as your own. Through a lobby display app, integrated email system, social media post manager, website embed tools and a new staff learning center - we put powerful tools in your hands to make it easy and affordable to reach your account holders, staff, and community.